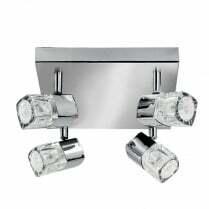 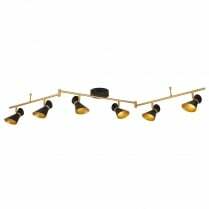 The Searchlight Bubbles 4 light bathroom spotlight has a metal body with a polished chrome finish. 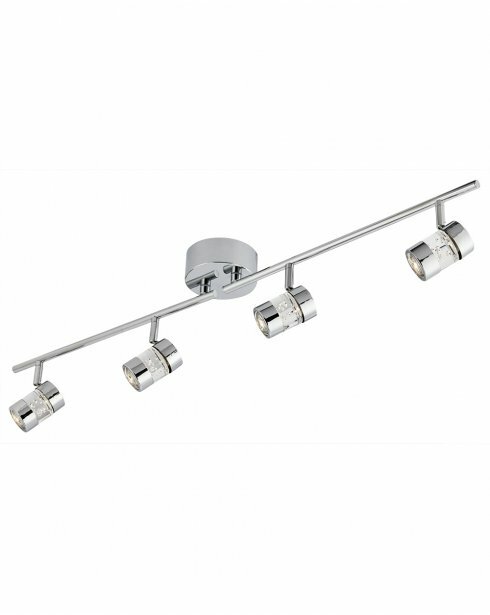 The 4414CC spot fitting has a height of 16cm, a width of 90cm and the fitting projects cm from the wall. 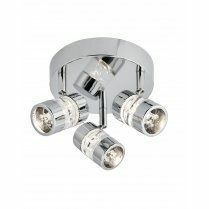 The 4414CC features a two pin shaver socket. 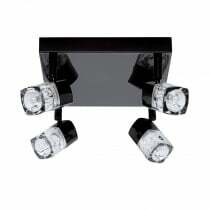 The 4414CC features low voltage LED lights (included). The bulb on this LED light is not replaceable. 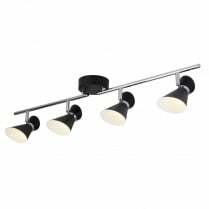 This light is rated: IP44, please see our IP Rating Guide (in the FAQ) for more information.